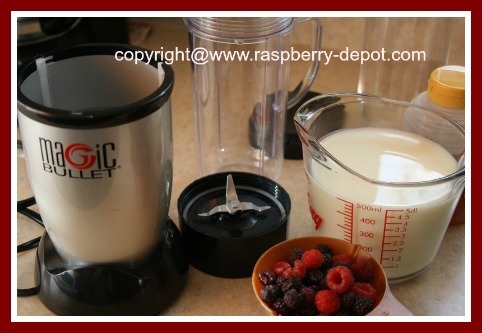 Here is an Easy Raspberry or Strawberry Smoothie Recipe with Milk. You can make this Smoothie Using fresh OR frozen strawberries or raspberries, or a combination of both types of berries. 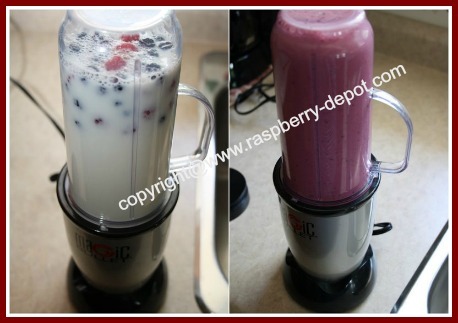 Berry Smoothies or Milkshakes made at home in the blender are the simply the BEST! Perfect for hot and sizzling summer days! 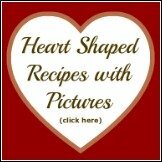 ﻿This recipe makes about 2 - 3 (1-cup size) servings. For 3 servings, each serving is about 120 calories. Fruit milk shakes are a good source of calcium and vitamins in addition the nutritional value of the berries! For larger servings or to serve additional people simply increase the ingredients accordingly. I used a combination of red raspberries and black raspberries to make this delicious milkshake/smoothie and used my "Magic Bullet". It makes the smoothie right in the drinking cup! 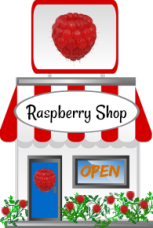 Note - If you do not have fresh berries, you can use frozen raspberries or strawberries. Using a "Magic Bullet" to Make my Smoothie! 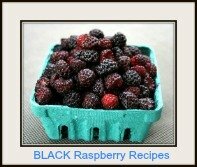 In a blender, combine the fresh berries, the milk, and the sugar, and blend until mixture is smooth and frothy. Pour into glasses, over crushed ice, (optional). 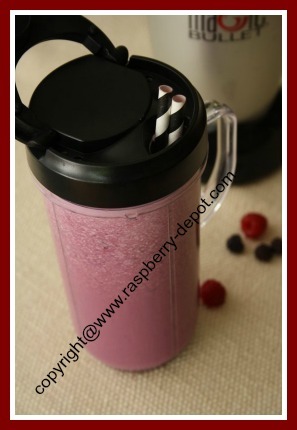 Makes 1 large (2 - 3 cup size) smoothie/milkshake, OR 3 small shakes (1 cup size). 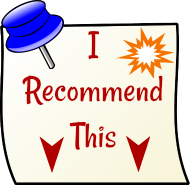 Note - This smoothie, or milkshake recipe can be used to make a healthy drink and almost any other fruit and milk. You may need to adjust the sugar (or honey), to taste, but the basic ingredients are the same. Of course, you can be creative, and add flavouring such as almond extract, vanilla extract, or add chocolate syrup, etc. The possibilities are endless ... so fun! Most people know that raspberries, strawberries, blackberries, blueberries, and cranberries are very nutritious, but did you know that berries are also very high in antioxidant activity? In fact, berries rank at the top when measuring the antioxidant level of different fruits, vegetables and all other food. Antioxidants are very helpful in fighting "free radicals" and helping to prevent some diseases such as cancer, Alzheimer's disease and heart disease, among others.